I am so bad at keeping my tears. Those of you who know me know I I have a touch of the goofball. I enjoy being the backseat heckler. This may come as a surprise, but I am an introvert. 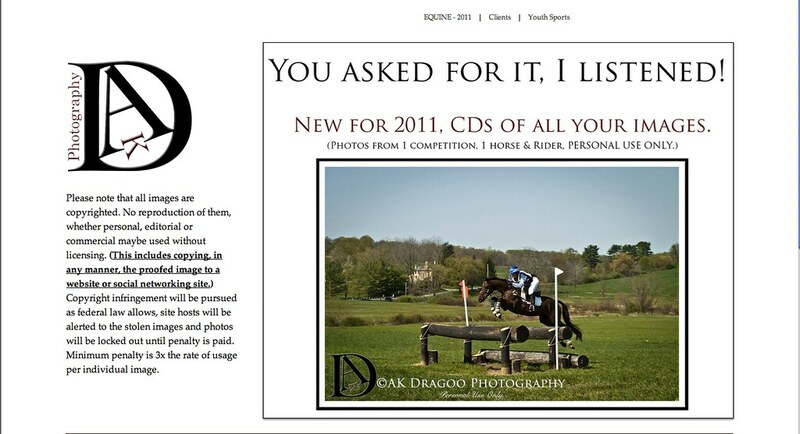 And I think this actually carries over to the fact that I don't keep track of my published work for a brag file. But there comes a time when one has to justify their existence, like applying for credentials to major international events, and you must prove you are not there to get free passes (there is no such thing), hobnob with celebrities (who cares), undercut the official photographer (I am an OP on occasion, so, do unto other as they would do unto you) or when your memory starts to go and you don't know what you have done with your life. Tonight I started grabbing the few files I have saved over the years, and man do I have SO much more to get through. It's that retail-centric time of the year, and yours truly is in on the game. And the way I am seeing it is, this is my own personal Kickstarter for funds to get to Normandy for the 2014 World Equestrian Games. So on that note...from now through the end of 2013 all products are 20% off using the code HOLIDAY13 at checkout on my proofing site on Zenfolio. 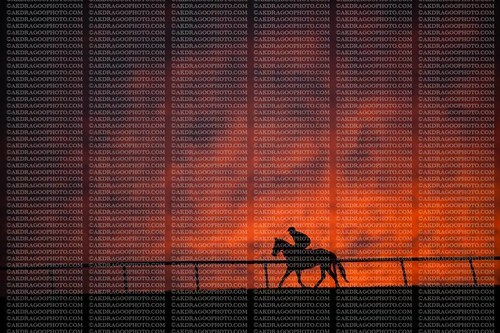 I've also added a selection of Fine Art print options from the sunrise series from Fair Hill this past fall. There are two paper options, each with their own specific size. The pearl print will leap off the paper and the watercolor print will give you the classic quality of a darkroom print. I have spent the past few hours dealing with a number of cases of people taking images of mine and placing them on their FaceBook pages. FaceBook is very quick to respond by removing the images, which I very much appreciate. Since this is an on-going problem I'm going to spell it out, this time with photos. Your ability to access my proofs of your competition is a privilege not a right. Me putting them on-line is a contract of trust that you will respect that there are my property, and that you have the ability to license a digital file or purchase a print from said proofs. There are many photographers who make you pay for proofs, or for them to photograph you at all. I feel punishing the many for the actions of the few will affect my business. And while we are on the subject of business let me spell this out for you. To cover two phases at the Plantation Field Horse Trials I have to hire a second photographer which mean I am out-of-pocket their day rate, travel and meals before the first horse enters the dressage ring. I shoot with at least two cameras and have four spares for remotes (how to you think I get those shots underneath the Weldon's Wall) and back up. 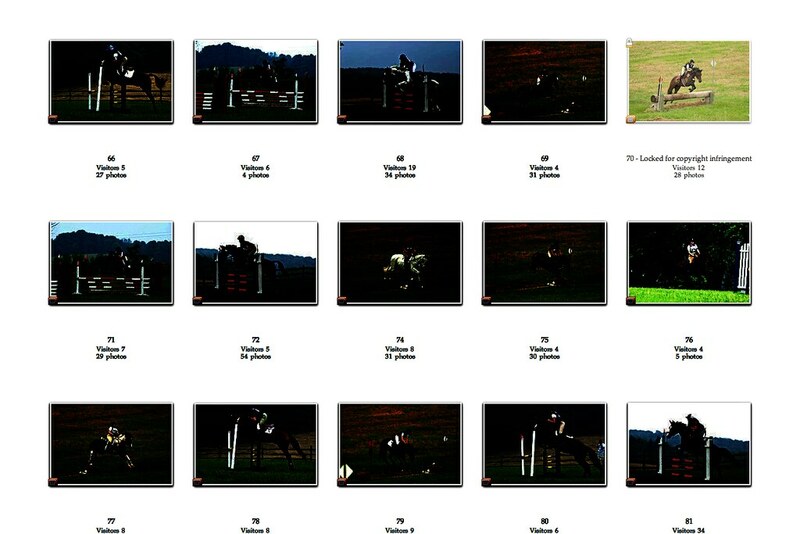 Not to mention telephoto lenses that are fast enough to shoot in pouring rain (if you show jumped in the April 2011 horse trial I shot you), fog and impending thunder storms. And I do stay out there in the pouring rain, exposing my equipment, albeit under a $300 lens specific raincoat. And there is all the superfluous equipment, monopods, tripods, remotes, cables, computers, storage, etc. And let me toot my own horn here. If you were running in any of the recognized events this year I also volunteered as a fence judge for a number of your fences too. You all received an e-mail from me from the June event alerting you to your proofs. This note also informed you that 20% of my profits are going to the True Prospect Recovery Fund. So not only are you stealing from me, you are stealing from a donation to a charity! The landing page of my proofing site spells out exactly what is allowed with proofs, and the penalty for stealing them. The image we contract for will not bear the watermark that is on my proofs. So let me spell out what happens when I catch you. 1. I screen shot your page(s) of images. 2. I report you to FaceBook or the web host. 3. I lock your folder of proofs so you cannot get to your images, and explain why it is locked. 4. I keep your name on file. 5. Any current or future images will not be available to you until you pay for the infringement. At this point in time there is no argument for "I didn't know better." 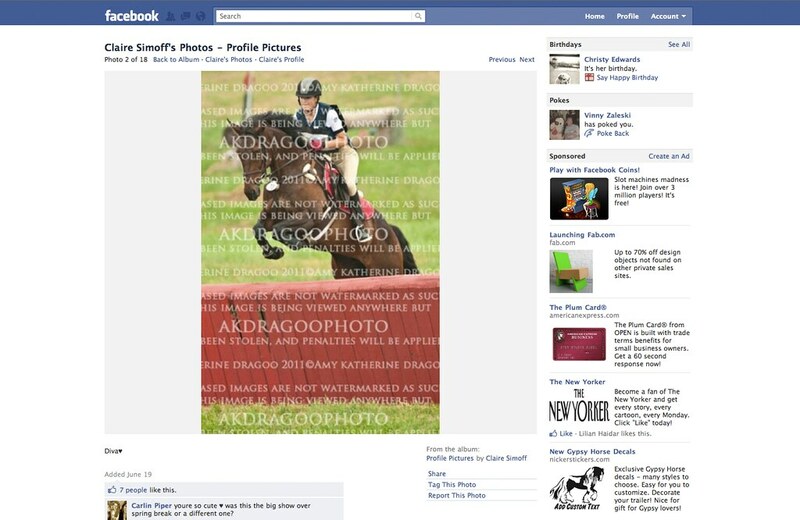 There have been discussion threads on popular equine websites, there have been articles in national equestrian magazines, there have been public international lawsuits regarding music and other intellectual property. 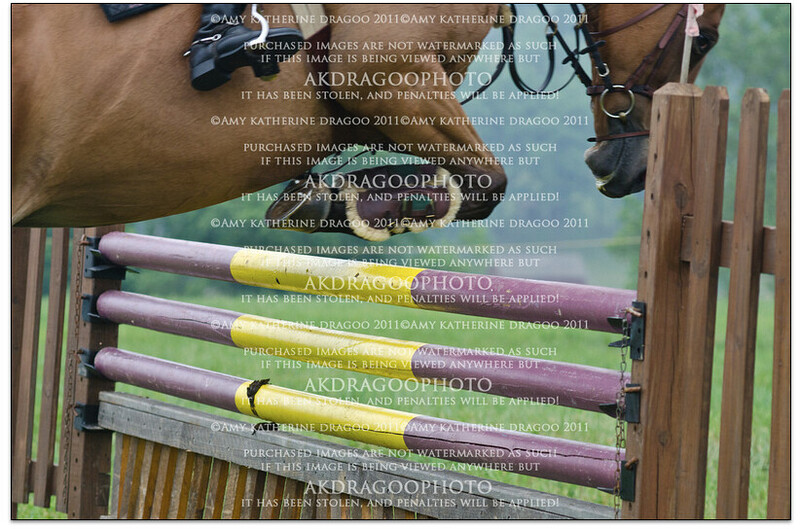 Oh, and my damn watermark spells out that, "IF THIS IMAGE IS BEING VIEWED ANYWHERE BUT AKDRAGOOPHOTO IT HAS BEEN STOLEN, AND PENALTIES WILL BE APPLIED!" As far as I am concerned, this is the greatest display this year. 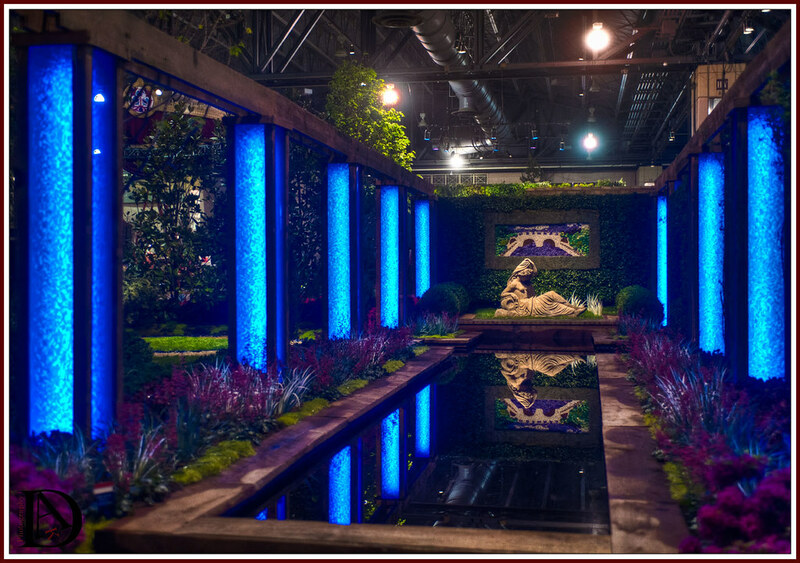 I like all the manicured, impeccable designs, but those are so put of reach for me. 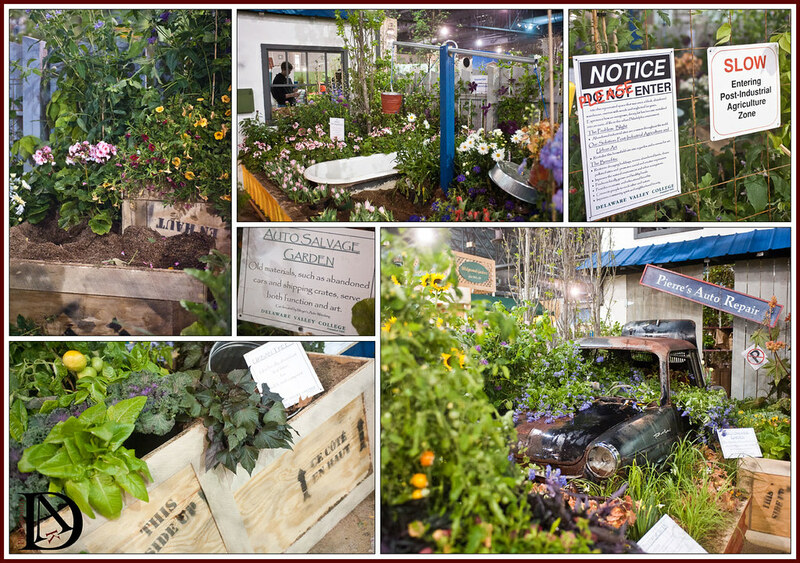 This installation from Delaware Valley College uses wooden shipping crates, the shell of a 1960s East German car, a bath tub and wire framing for the raised beds, water feature and planters. I am so inspired I will be searching for wooden crates from now on! And finally, the slide show I made for the paper. I had two shoots in Aiken, SC for Practical Horseman and The Chronicle Connection early last week. I drove down on the 14th, shot the 15th drove to Wilmington, NC to meet Christy and the dogs and then home on the 16th. The drive is about 12 hours without stopping, but I am one of those people who can sleep anywhere, in any position. So when I start to feel drowsy I know I need to pull over and close my eyes, thus extending the length of the time in the car. 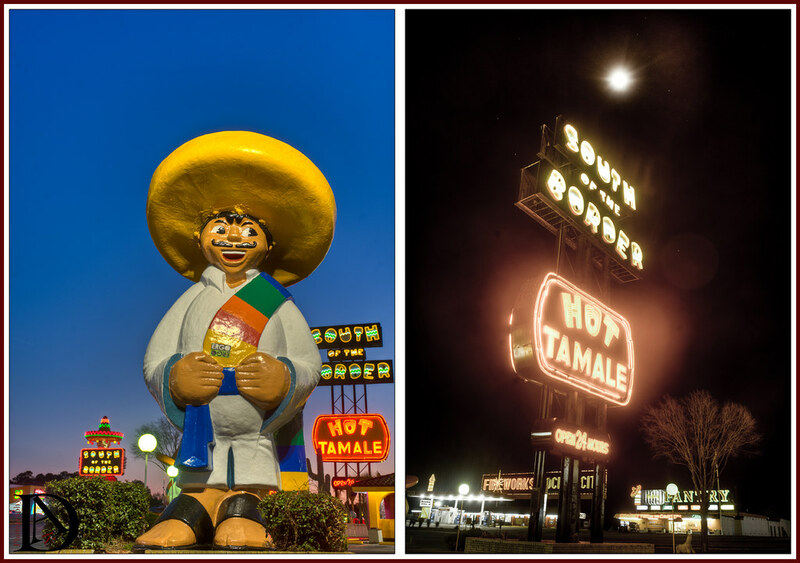 I have done trips down 95 annually for many years, and one of the most unique landmarks is South of the Border just at the NC/SC state line. 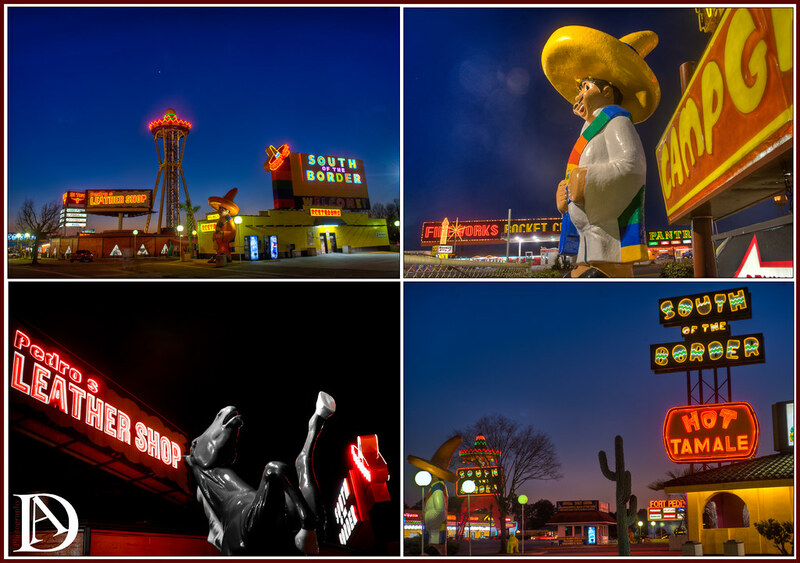 This trip I needed gas, I needed to stretch my legs, and since it was just after sunset I wanted to shoot some HDR of the tourist trap. If you have never passed SoB, it is much "prettier" at night. But darkness also brings out the sketchiness of it. Needless to say I was glad to have my 80lb body guard watching my back. 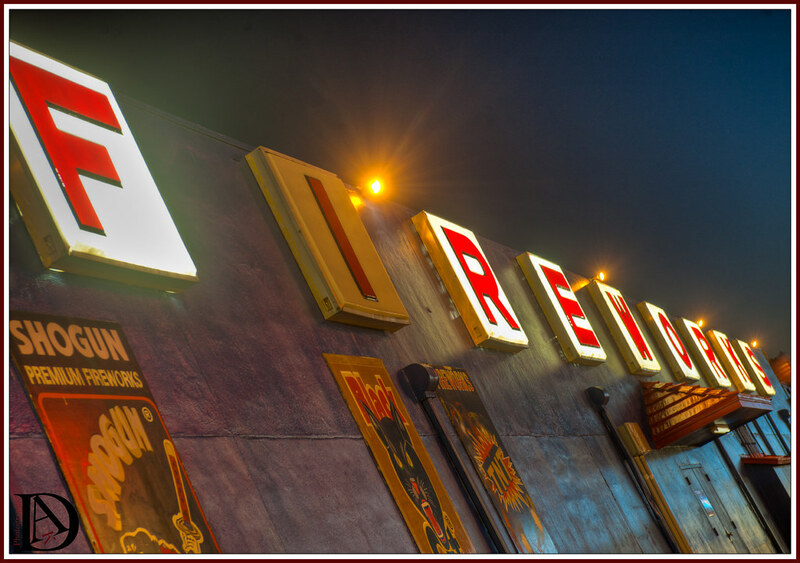 This shot of the fireworks sign with the burnt out bulb is my favorite of the 30 minute quick shoot. I was starting to attract some attention that was making my little voice chatter, and I still had hours in the car. So we hit the road for Aiken. My friend Jill has finally gotten the Lipizzan she has been yearning for. After much looking, and many funny adventures, she found Rigitta, a 2005 mare in upstate New York. 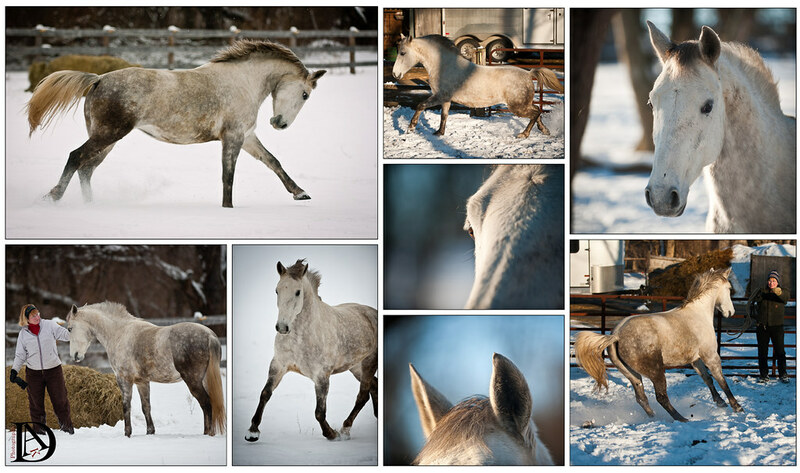 You can follow Jill's adventures taking this unbroken mare from pasture puff to dressage horse at her blog. When I was just starting out I assisted Eileen Blass, a staff photographer at USA Today. As we were driving to the shoot she asked me where my equipment was. I had not brought it because I thought that would be rude. She asked me what I planned to do if a plane fell from the sky. That piece of advice has stuck with me for 15 years. I am never far from my Nikons, but even without them I always have my phone. Today I found myself without my Flip cam (we share them at the office) and in need of the video camera. I whipped out my iPhone and asked one of the students to do the recording as I shot stills. There is an entire movement of photographers promoting the use of mobil photography. While it wasn't a plane falling from the sky, I was prepared. Thanks Eileen.